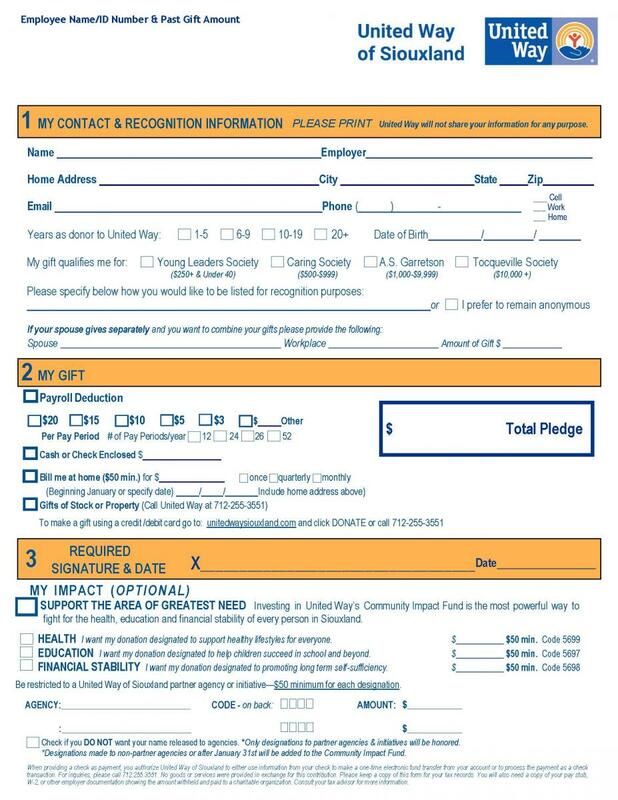 Please use the following Pledge Forms for your employee campaign. Thank you for helping make this year's United Way camapgin a success! If you have questions, please call us at 712-255-3551. 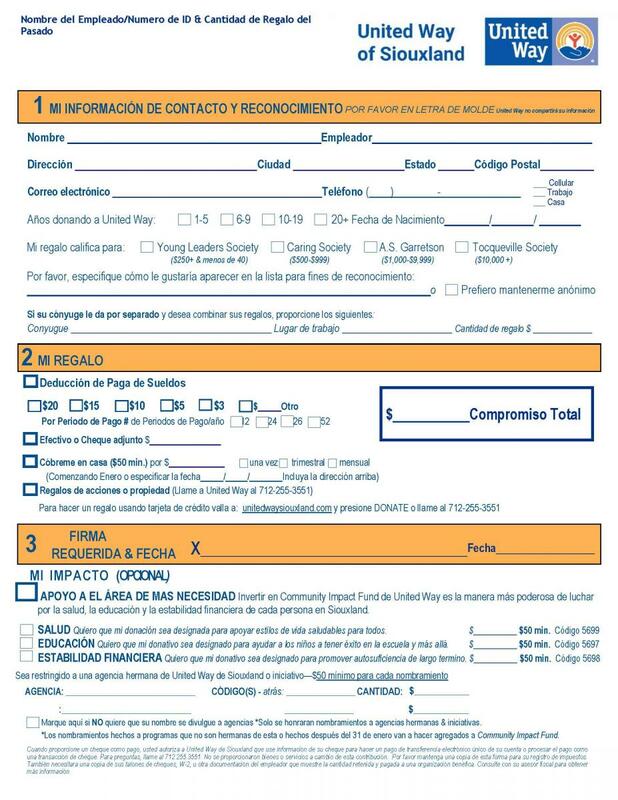 Click the form you would like to download.  A PDF format file will open automatically. 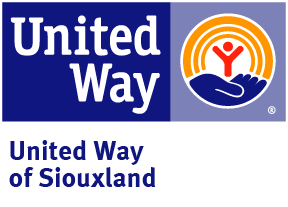 Please complete the form below if your business would like to support United Way of Siouxland through a corporate gift, an employee campaign, or you may pledge as the leader of your organization. Recognition level details are included.